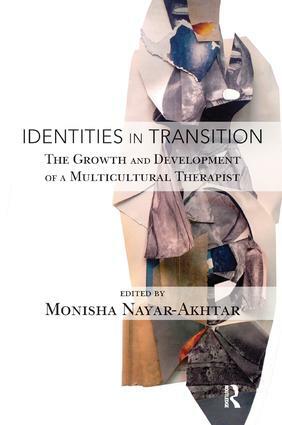 Identities in Transition is a book about the growth and development of a multicultural therapist/analyst. Hailing from all around the world (Argentina, England, Egypt, India, Israel, Iran, Lebanon, New Zealand, Mexico, Nigeria, Puerto Rico, Poland), the contributing therapists share their personal stories of clinical minds at work. The factors that inform them are varied and diverse, shaped by their histories of immigration and professional training. Insightful and thought provoking, their explorations capture the struggles, the dilemmas and the skillful integration of various parts of themselves, that finds expression in clinical encounters and analytic settings. Their sensitive reflections upon the salient features of their didactics, supervision and personal analyses, provides a blue print for an adaptive and assimilative process at work. The nuanced impact of immigration, of diversity of culture, of thought and conduct and the integrative process is highlighted. In the process these clinicians develop a 'voice' as unique as their past, informed by thoughtful reflections of their training and the assimilative process.